Soon enough and finishing my last post about my Malacca trip in details. Doesn't talk about food but a nice remarkable items that has been brought down by older generation. Written before this, that that was belong to my mom and she ordered from a friend before we were leaving to KL. I could tell you that it doesn't cost any cheaper from RM200.00. 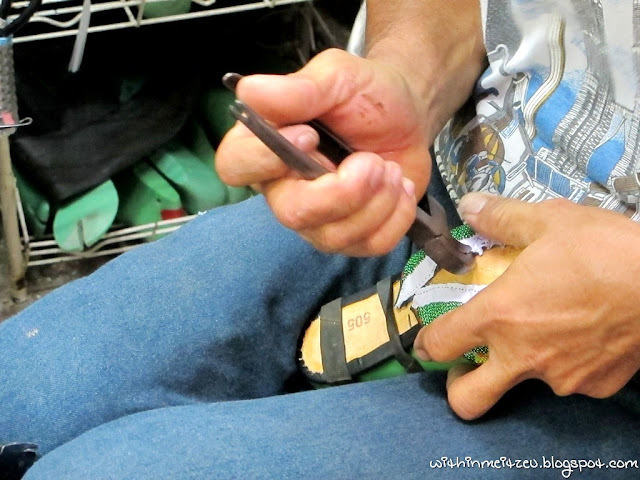 Since generation ago, beaded shoes are worn with the local custom, make it even more stand out when the design of the beads are beautiful. 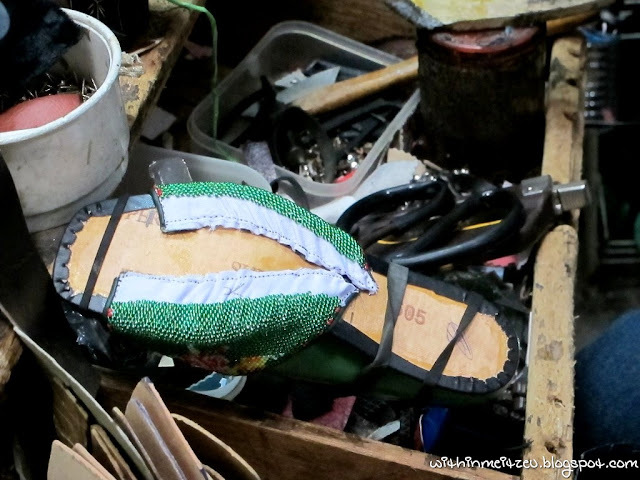 Three of us visited Jonker Street and managed to visit a shop selling/ custom made beaded shoes! 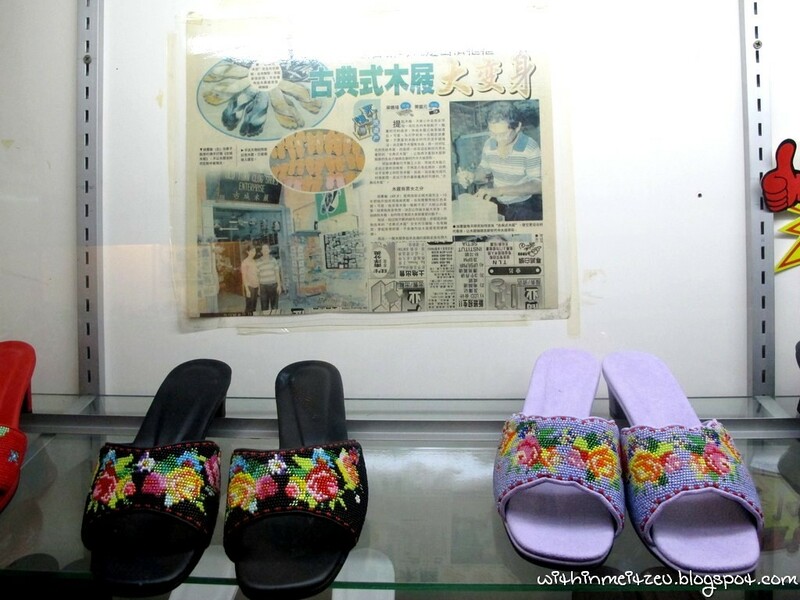 :) The famous one which casts from Singapore for the movie "Nyonya" was there to purchase them. Besides, selling beaded shoes, there's more such as Wooden Portugal War Ships which my mom and dad bought one for collection. There's a Japanese lady who was buying beaded shoe and the platform was selective on and custom made by the uncle at the shop. So here's the photographs! Enjoy! 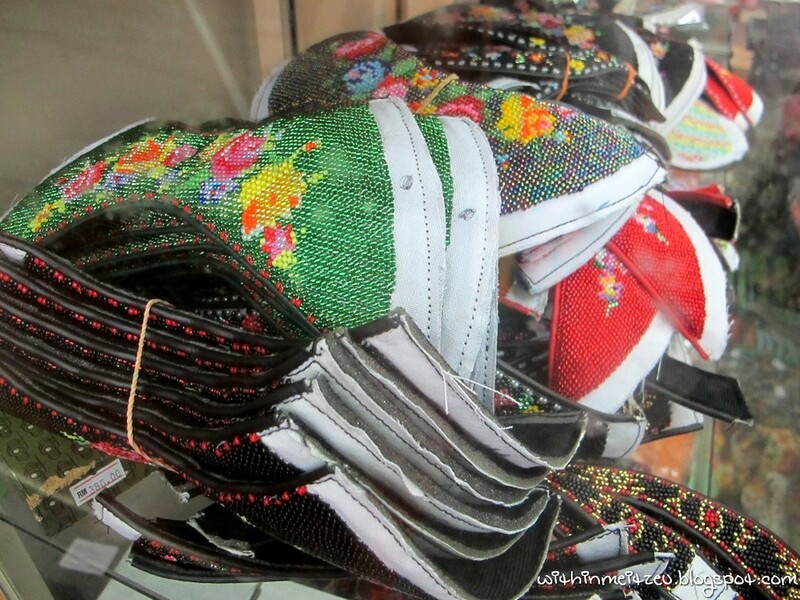 Saw the colourful Nyonya Beaded shoes? It's the design of our states of Malaysia! Happy Monday you all! ;) And enjoy the Sunday. Nanti kan,sampai masa ko mo pakai tu,harga dia jadi rm6.5k sudah,baru ko tau.. H aha ha.. ^_^.v..
Dora: LOLzzz! :D There's different price bah. :D RM650 is one of them only. Daniel: Yea~ not a best time as a gift! Michelle : LOlzzz;D Frame it! What?? lolz. Yea~ nice pieces at Malacca, but I'm not sure about KK tho. :P And you know what? 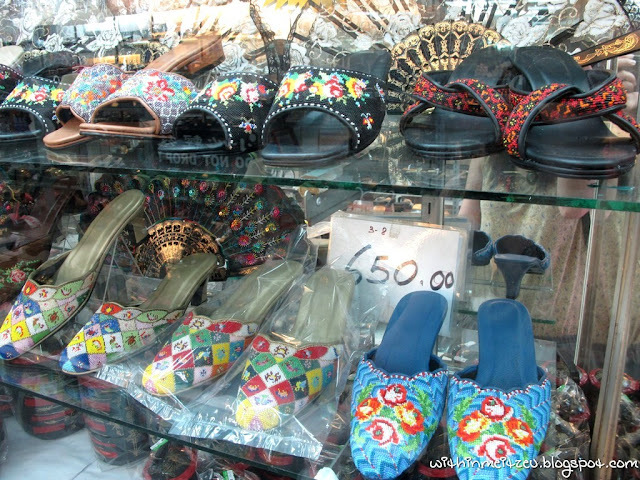 I saw beaded shoes at Taiwan too!!! This is so skilful and nice beautiful pieces are the outcome. @_@ yeah... they have big face and big body size. 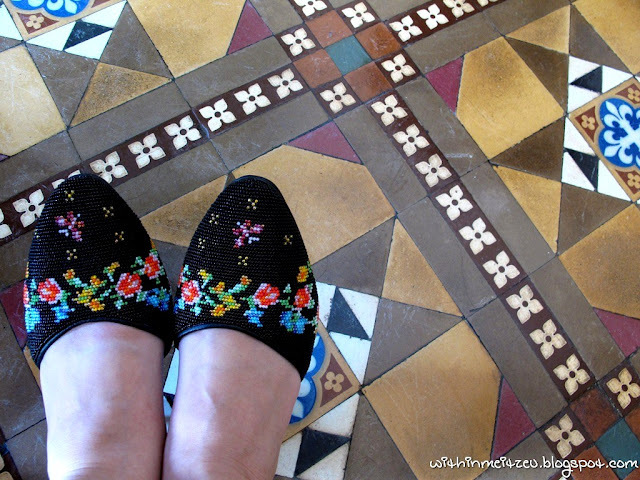 me nyonya too and me fall in that category too... huhuhu... my Mom has 5 beaded shoes! For your information - The beaded shoes shown in Little Nonya are not all from Malacca. 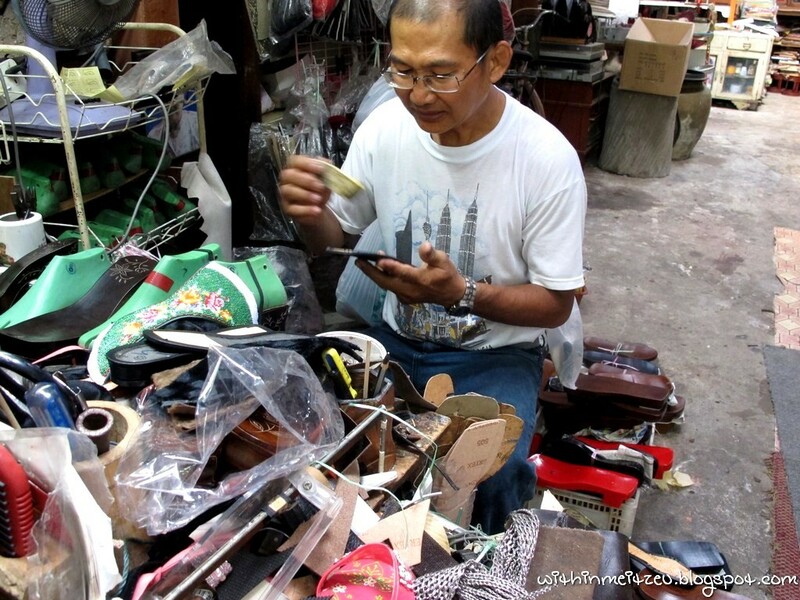 The close-ups and beautiful ones come from Little Shophouse which is in Singapore, Bussorah Street.